The collection of information from visitor traffic to a website is vitally important these days. There can be key performance indicators that can provide answers to difficult questions. In analysis, visitor behavior can reveal, such what is working on a website and what is not, which pay per click ads are working. Other issues can be revealed such as how to increase conversions on a website and what has been the impact of certain campaigns. MetaData Media provides an Website Analytic Consulting Service will reveal how your visitors use your site. Prior to effectively using Analytic data, however, you will need to setup for Analytics and we can setup that for you. Our choice of an analytics program is Google Analytics because of its level of comprehensive detail. Such detail includes such things as visitors by country, the pages they visit, how long they visit, how many visitors click on a certain link, bounce rate and there is much more to this list. The setup process is simple and it has no additional or recurring COSTS to implement and each page of your website would be tracked. As part of our Web Analytics service, we would monitor and make recommendations based on our analysis. The detail from an analytics report maybe hard to decipher. Our reporting will be compiled in a report that will be easier to understand, not in statistics reporting language or technical jargon. Just plain English. Many businesses rely heavily on their website to survive and website analytics is a vital ingredient to show the trends of how their business is doing. It can show objectively how to increase your website sale conversions or sales leads. Monitoring on monthly basis by BJAC Interactive’s website analytics expert makes sense because even a small recommended change can result in increase profits to your business. How the users are navigating your website. Which ads are getting the highest conversions. How visitors are finding your website and what keywords they are using. Which have been the best advertising mediums such as a paid directory listing or pay per click. Where are the challenges on the website to your visitors and why. How different visitors of different geographic regions are responding to forms and ads. How much revenue different products are generating. Where the changes are required to improve the website’s effectiveness. 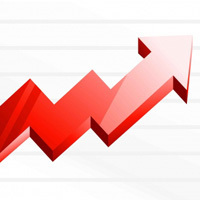 There are other metrics that may not have been previously considered that could increase the number of conversions. METADATA Media’s Analytics expert will look at the data in detail and examine your website’s effectiveness that ultimately leads to conversions. If you are doing Pay per click campaigns, the data can be invaluable to find ways to increase the conversion rate and the effectiveness of your campaign. Our pay per click expert will review the analytics data to use this information to increase the conversion rate and will make solid recommendations on fixes that you can do yourself. 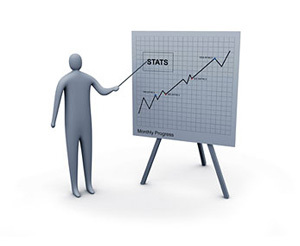 A custom analytics report will be compiled for each month that you want the monthly analytic service. It will be step by step recommendations for actionable improvements that will increase your website’s effectiveness. owner to test multiple variations of the same web page to see which one conversion better. If you want to know how the home page compares to other pages on a website, the optimizer tool is also of great benefit. We can implement this feature as part of the monthly analytics service and can track its progress and make the changes required to determine which has the better conversion rate. Ultimate, the optimizer is intended to allow for a better user experience. At METADATA Media, we do something called split testing or variations of split A/B testing to determine better conversion rates. Contact us today on the Website Analytics service and see how this can benefit your website and existing website campaign.